An extremely simple trick that will leave your audience wondering ‘just how did he do that’!!! The illusion is very easy once you know the secrets, the key is to look at the bottom card on the deck and when you participant places the card back in the deck you place the bottom card on top of their card. This ensures that once you see the card from the bottom of the deck appear you know the next card is their card. Two cards are randomly selected by a spectator. The spectator freely chooses to place a circle medallion on one card and a square medallion on the other. 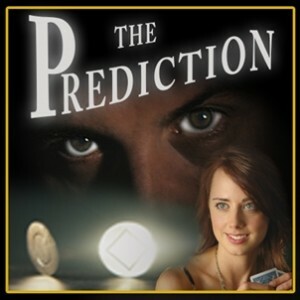 You the performer, reveal THE PREDICTION as an exact match to the spectator’s selection! This effect even fools many magicians.